LeBron James earlier this week became the seventh NBA player to amass 30,000 points in a career (he is the eighth player if you add Julius Erving’s ABA point total to his NBA numbers). James and Dirk Nowitzki are both members of the 30,000-point club and are still active. There are ten active players (in addition to James and Nowitzki) who have 18,000 or more career points. Whether or not any of these will join James and Nowitzki is up for debate, but here is a look at those 10 players (their age in years and days in noted after their career points totals). If I was a betting man, Durant is more than likely to reach 30,000 in his career… Anthony has an outside chance… other than those two, I don’t see another of the other 10 players listed above reaching the 30,000-point mark in their careers. 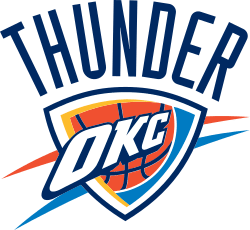 Game 1 of the Oklahoma City Thunder–Los Angeles Lakers playoff series is in the books and the Thunder made a pretty loud statement with their 119-90 win. While there are many subplots to this series, the one that has garnered significant attention is the match-up between Kobe Bryant and Kevin Durant. 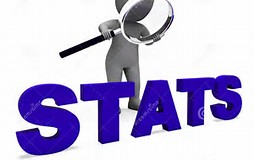 ESPN Stats & Information noted that this is the fifth time that the No. 1 and No. 2 regular season scorers are facing off in the playoffs. This Kobe-Durant battle may not have the sexiness of a Magic-Bird matchup, but it’s still worth watching. Here’s a look at some stats you might not know about when Kobe and Durant have faced off against each other since Durant came into the league in 2007 (includes last night’s game). 1. The Lakers and Thunder (they were the Sonics in Durant’s first year in the league)… and Bryant and Durant… have played against each other 23 times since the start of the 2007 season. The Lakers have won 16 of the 23 games. The Thunder, however, have won four of the last five. They have faced off in the playoffs seven times with the Lakers holding a 4-3 edge. The home team has won all seven games in the playoffs between these two teams. 2. In the 23 games that Bryant and Durant have faced each other, Kobe has scored more points than Durant in 11 games, Durant has scored more points than Kobe in 11 games, and they have had the same number of points in one game. In the last 14 games, however, going back to March 26, 2010, Durant has outscored Kobe in 10 games of those 14 games. 3. Both Bryant and Durant average just under 21 shots per game when their teams play against each other. Bryant averages 20.9 shots per game, Durant 20.5 shots per game. 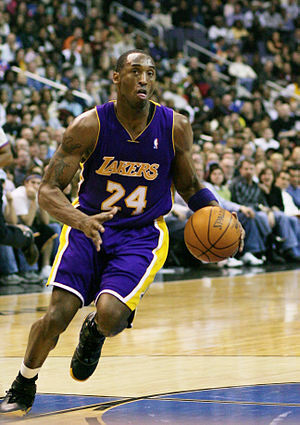 * Bryant: Home, 27.1 ppg; Away, 24.6 ppg; Wins, 26.0 ppg; Losses, 25.3 ppg. 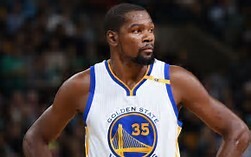 * Durant: Home, 25.0 ppg; Away, 25.3 ppg; Wins, 26.7 ppg; Losses, 24.4 ppg. 5. Bryant averages 27.0 ppg in regular season games against the Thunder. His playoff average versus the Thunder is 23.0. Durant averages 25.2 ppg in regular season games against the Lakers; his playoff average is 25.0. 6. Kobe’s high game against the Thunder in the Bryant-Durant era was 48 on January 14, 2008. His low game was 11 on March 26, 2010. Durant’s high game against the Lakers was 35 on April 22, 2012. His low was a 15-point performance on February 24, 2008.